At SKINS Derma Care, we believe that looking your best should be easy. That’s why we’re committed to giving you the very best in laser hair removal. 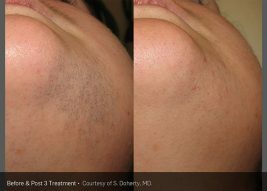 We use the state-of-the-art Vectus® Laser System for hair removal, which gives you smooth skin like you’ve never felt before. Effective across all skin tones and types, Vectus is fastest laser hair removal option available, and its larger spot size allows it to treat a greater area. 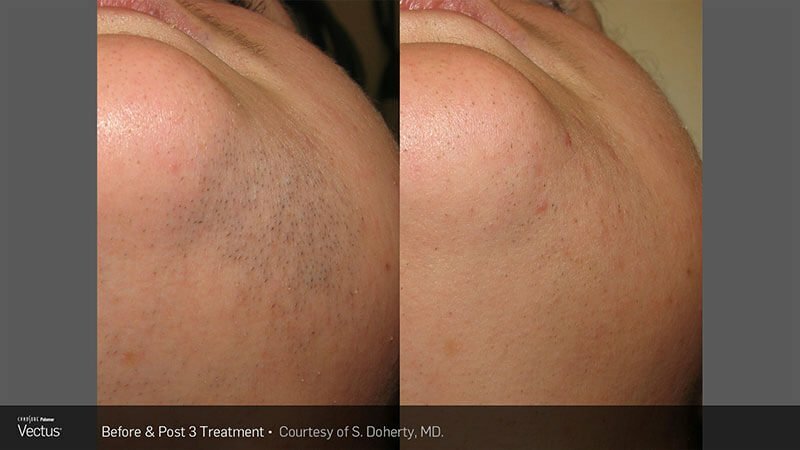 Offering long-lasting results, Vectus® penetrates deeper than other laser systems to target hair follicles at the source without damaging surrounding skin. 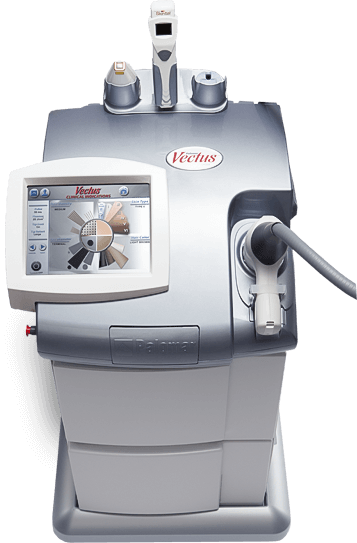 With Vectus®, treatments can run as short as 5 to 8 minutes, and can quickly treat larger surface areas, making sessions during your lunch break is easy and comfortable. Best of all, with no downtime and minimal post-treatment care needed, you can get back to your day and what matters to you with optimal results. 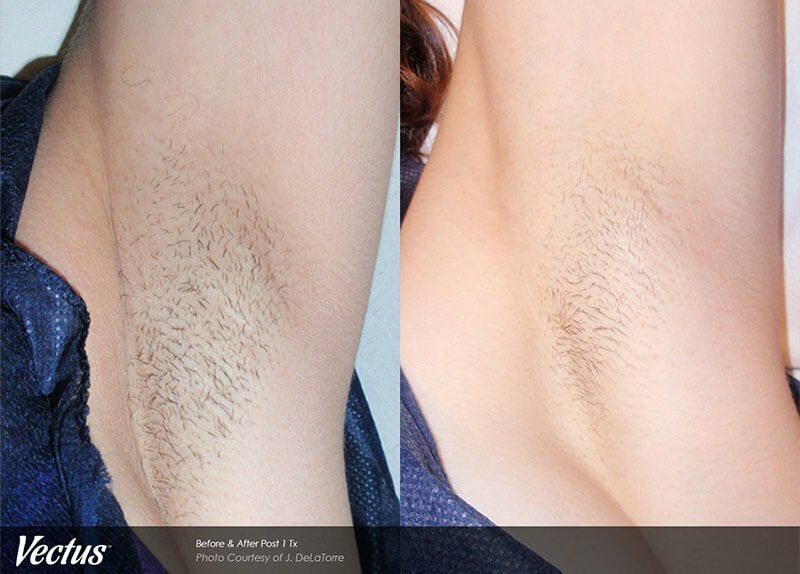 You’ll also experience minimal redness, so no one will notice you’ve had laser hair removal. This innovative laser uses an integrated Skintel™ Melanin Reader™, cleared by the FDA to safely read the pigment level in your skin. Don’t be stuck waiting weeks and weeks with a strict aftercare plan; see and feel the Vectus® difference and embrace youthful, smooth skin. 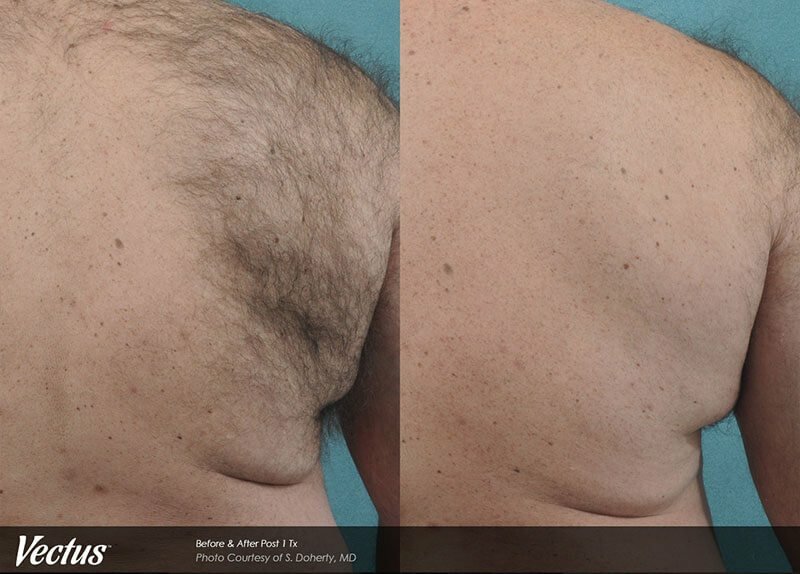 Am I an ideal candidate for laser hair removal? Provided you do not have underlying skin conditions or health issues, Vectus® works on most skin types and tones. That said, particularly dark skin tones may absorb too much light energy, and extremely light-coloured hair (white, grey, or red) do not respond well to laser hair removal treatment. It varies between patients, but the exact number of treatments depends on how well your hair responds to treatment, and when in the hair’s growth you receive treatment. There are three distinct phases of a hair’s lifecycle: the actual growth phase, a resting phase, and the final phase wherein the hair falls out as a new hair takes its place in the follicle. 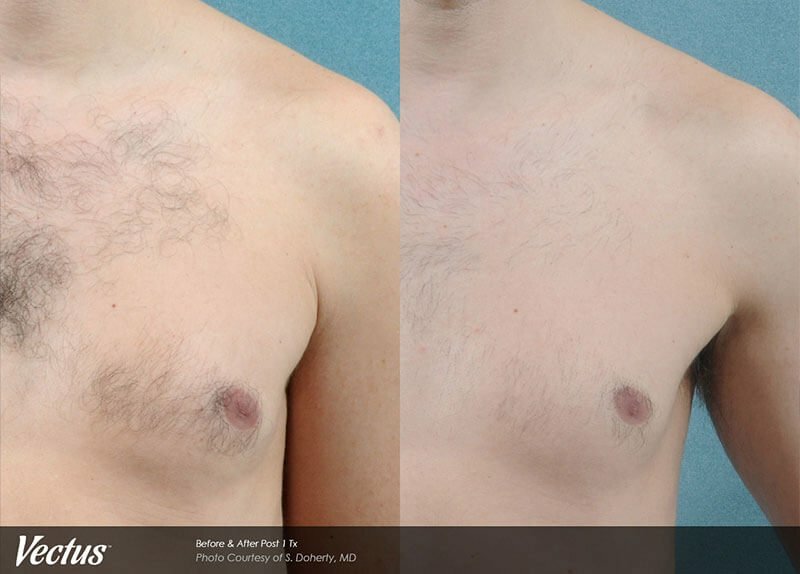 Laser hair removal is most effective during the active growth phase, when the laser system can send heat down directly to the follicle. Does treatment hurt? What can I expect? Treatment should not hurt or be painful when administered by a trained technician. You may experience some discomfort due to the heat energy administered during treatment, particularly if you’re removing dense and thick hair. You may also feel discomfort depending on where you’re receiving treatment.